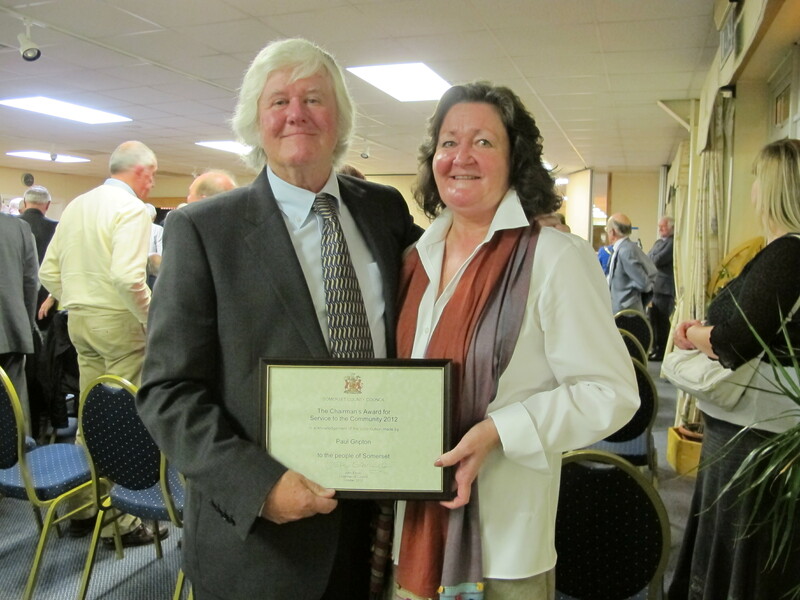 Paul Gripton received a Somerset County Council Chairman’s Award for Service to the Community at a Ceremony in Taunton last Thursday 18th October. 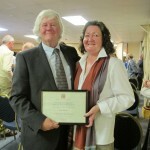 The citation read: –“Otterhampton Parish Council is delighted that Paul Gripton’s service to our community has been recognised by this award. Paul has earned the gratitude and respect of everyone by his tireless efforts on behalf of our community, but particularly in identifying, researching and leading the community’s response to the challenges imposed by EDF’s proposals for Combwich with great skill and dedication”. Since the commencement of consultation by EDF on the proposed Hinkley C Development in November 2009, Paul has been at the forefront of representing the interest of our community in relation to EDFE’s proposals for the Wharf and Laydown area at Combwich. It was Paul that discovered after the EDF’s Stage 2 consultation was published that their real intentions for our village were hidden away in over 9,000 pages of documentation on the company’s website. His assiduous research and commitment to exposing the truth, coupled with his ability to analyse complex data has been crucial in ensuring that the interests of the parish have been heard by the Infrastructure Planning Commission. Together with a team of parish councillors and volunteers Paul has led the campaign to ensure that Combwich remains a good place to live. 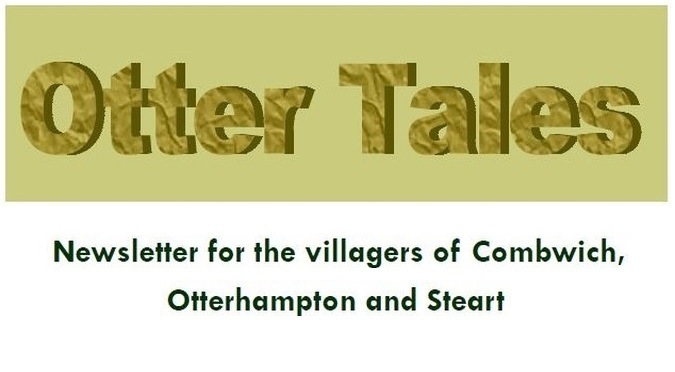 He has attended every meeting called by EDF, the district and county councils and initiated many of them to the benefit not only of our community but also other local villages. He was instrumental in formulating the Parish’s 90 page response to the PI which has been recognised by them and the District and County Councils as a very high calibre professional document dealing with the formidable challenges faced by our community as a result of EDF’s proposals. Since EDF’s submission to the IPC, now the Planning Inspectorate, Paul has led the OPC team representing our community at every meeting. There is no doubt that that our Parishioners and others further afield owe a huge debt of gratitude to Paul in identifying the proposals which if implemented would do untold damage particularly to the residents of Combwich. On top of all this is Paul’s dedication to his role as a parish councillor, a caring neighbour and travelling to Devon for two days a week to care for his elderly mother. In all of this time of immense stress and intense effort he has retained his sense of humour and constant good nature. All in all – A great Person.